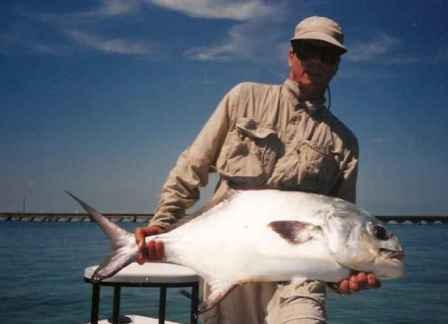 Miami fly fishing option: Florida Keys Fly Fishing. With the skiff on a trailer, we can fish anywhere you are in the keys and where the fish are: from Key Largo to the Marquesas, west of Key West. The Keys are an amazing string of islands originally connected by Henry Flagler's railroad and now by the Overseas Highway which utilizes many of the original railroad beds and bridge structures which make for some beautiful backdrops to great fishing. Permit, bonefish and tarpon can often be found within fairly close proximity to the highway on the flats that seem to chase the horizon. 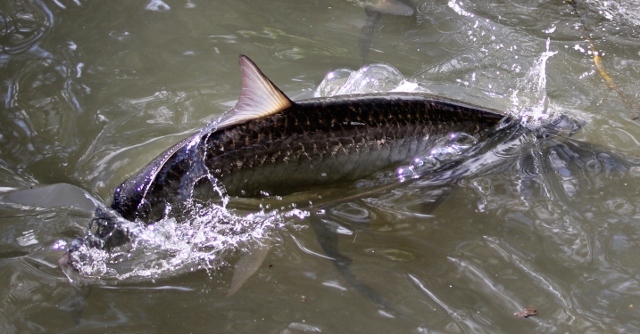 The fishing opportunities and water to fish in are endless and includes spring tarpon migration and trying to hit the palolo worm hatch, a unique event that causes insanity in both fish and the anglers targeting them. The fly tackle: most days an 8 or 9 weight rod is appropriate for bonefish a 9 or 10 for permit and 10-12 for big tarpon. A good saltwater reel spooled with ample backing and a good weight forward floating line will be our primary go-to rod. We'll talk about specifics prior to your trip. Spin tackle will primarily be with medium light to medium gear. Fly patterns we'll use will include a variety of bonefish patterns, crab patterns for permit and a good mix of tarpon flies. Spin tackle fishers will mainly be using bonefish jigs. Final thoughts on Fly Fishing in the Florida Keys. This is a great day or days on the water for those who enjoy the beauty of gin clear flats on world famous fishing grounds. Depending on the species we're targeting, we'll pole the flats, working the feeding patterns until we spot tailing or cruising fish and get you set up to make the cast. While fishing in crystal clear water is some of the most challenging in the world—its also the most incredible. There are seasonal opportunities—like the spring tarpon migration; hot months for permit in both spring and summer, year-round bonefishing, as well as the famed palolo worm hatch, that we can tie to your Keys visit as well. To return to see more fly fishing options, click here.